Dental365 in Levittown opened just a few short months ago, but is already impressing the community with their unique approach to dentistry. Dental365 was established with the patient’s comfort and convenience in mind. Located at 3254 Hempstead Turnpike in the King Kullen Shopping Center, Dental365 gives patients high-quality, affordable dentistry while offering routine and walk-in emergency dental care 365 days a year. And now they have a new dentist joining the team. 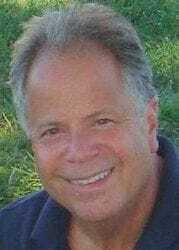 Dr. Richard Bloom is a Long Island native and has been practicing dentistry for over 30 years. He is a graduate from NYU Dental School and is a member of the American Dental Association, New York State and Nassau County Dental Societies, and Integrated Dental Studies Group. As a child, Dr. Bloom always loved to build, repair and tinker with anything he could get his hands on. As he got older, he started to think about what profession he could choose that would allow him to use those skills. He decided on Dentistry since he wanted to be in a profession that allowed him to help make people’s lives better. As a caring dentist with over 30 years of experience, Dr. Bloom prides himself on the rewarding professional relationships he has formed with patients, fellow doctors and wonderful staff members. Dental365’s goal is to service the communities they are in with the latest technology in oral healthcare and wellness. As an added convenience, their brand new, inviting offices focus on all areas of dentistry, so patients never have to go elsewhere for dental treatment. Dental365 accepts walk-ins with little or no waiting time for adults and children and offers everything from emergency extractions to routine exams, including cosmetic restorations and veneers, periodontal procedures and Invisalign all in a state-of-the-art, beautiful environment where your comfort is a top priority. For more information about Dental365 or to schedule an appointment call 516-597-4005.